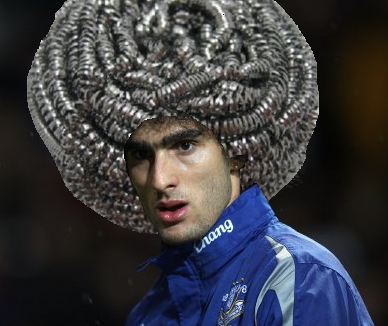 In a bid to cobble together a wodge of money for Everton in the Community, shrub-headed unit Marouane Fellaini has vowed to dye his big Belgian afro (Belgfro?) silver if Toffees fans donate over £25,000 to the cause. “Our fans have already given thousands of pounds to support Everton in the Community but there’s still a long way to go, so I hope that my silver hair challenge will help to bring in lots more money and make a difference. Yes, that is a Brillo pad. Any road up, if you want to see the Belgfro re-rendered in gleaming wire-wool silver before the end of the season then get donating over at Everton in the Community’s Just Giving page. Yet another great gesture from a club of true class and professionals – take note Liverpool: your players should be supporting local charities through their desire to, NOT because they’ve been fined and have to try to salvage a bit of public relations. Dont taint all Liverpool players with the same brush. Former Liverpool player Dirk Kuyt set up his own charity which he donated 10% of his salary into, every week. Brilliant Headline. Brilliant gesture. Well done Mo. How much does these filthy rich players donate then? 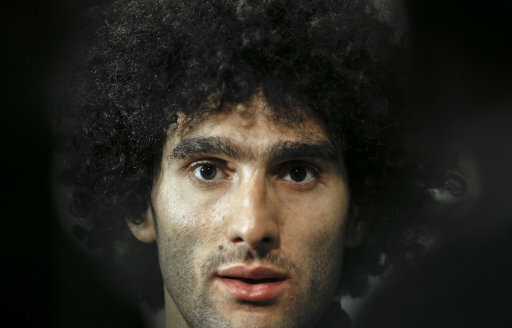 I’ve always seen Fellaini as the anti-Luiz. But Luiz is funny & crazy. BUT THEY HAVE THE SAME HAIR!